Several years ago we camped on a little site next to a marvellously quirky and most welcoming 200 year old pub called the Barge Inn located beside the winding ribbon of the Kennet and Avon Canal in the village of Honeystreet. We found the small field to be an informal affair with eager dogs running free and a regular contingent of travellers passing through both by camper van and technicolour canal boat. We attempted to embrace what Daniel Liebskind observed as being ‘a path, not a goal’, or the amiable tourism of the drift. The location promised refreshing real ale, canal side bike rides, chalky White Horses, gentle Wiltshire countryside and the light-hearted claim that it was the centre of the global crop circle phenomenon. It is a landscape drenched in history both tangible and imagined, which W. H. Hudson described as ‘that great sea of vast pale green billowy hills extending bare against the wide sky’. 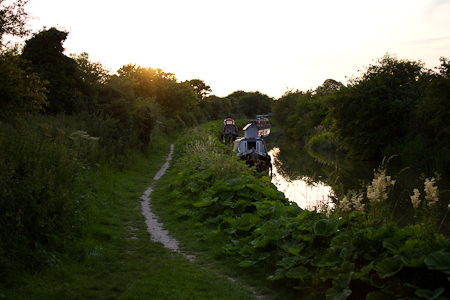 The Kennet and Avon runs from Reading to Bristol and continues to be popular as a leisure artery as well as being home to a diverse array of alternative canal boaters, living off grid and at large from suburban England. The industrial origin of the waterway has now diminished, though the pockmarked detritus of years of use still remains, with forlorn lock houses and markers having quietly decayed among the whispering trees. The canal was brought briefly back to life as part of the vast General Headquarters defensive line constructed in the Second World War. The south of England was hastily fortified against the impending Panzer divisions of Nazi Germany, so stout pillboxes, ribbed tank traps and other skeletal barriers still litter the locale providing shelter for grazing sheep and drunken teenagers. The scattered emplacements now lay silent, hollow concrete skulls observing our quiet passing on bicycles as the flickering refraction of the water dappled their weather beaten brows. Wiltshire council values the crop circle industry as being an integral part of their tourism economy as it attracts visitors from all over the world. Having met both circle makers and devout believers these trampled plants appear to act as vegetative scrying mirrors for peoples’ beliefs, be they extraterrestrial, rogue military experiments, mischievous fairies, wounded Gaia, magic or simply prankster in origin. I overheard conversations that ranged from the paranoid (black helicopters, UFOs and remote brain implants) to the more philosophical (on symbolism and narratives contained within the various icons). Indeed the site was a continuous busy transit hub of experts and business folks. The secretive heavy metal fans camped next to us who drove off at 3am clearly had an exhaustive night as we awoke the next day under bright sunshine to find one and half huge geometric circular knot-works had appeared nearby and aircraft now buzzed overhead keen to get the first photographs out to the waiting masses. Several days later we bumped into them in nearby Avebury (itself ringed in the strata of weary standing stones and terrifying time looping children’s television) and they hinted that they wouldn’t return as their work had been finished, to which I could only grin. The area is a Fortean locus of folklore strangeness, a tense node of neo-pagans, artists and believers wrapping themselves in thick layers of interstellar symbolism. We witnessed Victorian revisionist White Horses gazing upon Industrial Age transport systems, hollow World War Two bunkers silently guarding rural bridges and post-modern cultural tourists perambulating across National Union of Farmers compensated crop fields, all these scattered objects have become imbued with the heaviness of events. It is a bewildering narrative-based collage that echoes an observation of Philip Sheldrake who wrote ‘it is appropriate to think of places as texts layered with meaning, every place has an excess of meaning beyond what can be seen or understood at any one time’. The canal is an occult rift in normal time and space, and bleeds obscure metaphors. It slices through our collective past like a razor unleashing the solemn Welsh ghost of Arthur Machen. Gaze into the molten waters of the Kennet and Machen’s otherworldly realm is unveiled ‘in place of the familiar structures, there was disclosed a panorama of unearthly, of astounding beauty’. Of course our traditional stories are drenched in tales of uncanny grottoes, preternatural realms, fairy folk rings and mysterious portals and this has continued to be a popular aspect of culture. Plucky heroes are always chancing upon dramatic spaces deftly wedged into normality. Writer Alan Garner famously wove the Cheshire folklore of Alderley Edge’s wizard into his numerous novels, and Susanna Clarke’s sprawling faux-Victorian fable Jonathan Strange and Mr Norrell describes an entire alternative history of England which draws upon numerous familiar themes such as the Raven King and winding lanes to other lands. She conjured up a novel where epic magic is an everyday occurrence and dark fairies with thistle down hair are summoned from the kingdom of Lost Hope to aid noble gentlemen. The bizarre and inhospitable Lost Hope however is a dangerous and savage place. She wrote, ‘There is nothing else in magic, but the wild thought of the bird as it casts itself into the void. There is no creature upon the earth with such potential for magic. Even the least of them may fly straight out of this world and come by chance to the Other Lands. Where does the wind come from that blows upon your face, that fans the pages of your book? Where the harum-scarum magic of small wild creatures meets the magic of Man, where the language of the wind and the rain and the trees can be understood, there we will find the Raven King.’ Wiltshire’s pop history revels in a similarly uncanny opportunity and welcomes all manner of visitor human or otherwise. Ambling down the leafy lanes one could easily imagine chancing upon an eldritch grove or wizened mystic. It is raw psychogeography tourist country and the conflicting mythological sagas remind me of one of my favourite books Foucault’s Pendulum by Umberto Eco. It tells the darkly amusing story of three vanity publishers of the occult who decide to invent their own conspiracy theory, embracing all the peculiar individuals that they have ever worked with, invariably with both tragic and tortuous results. They wander in hand in hand with Roberto Calasso, on the ‘threshold of a hidden world that one suspects is implicit in the world’. It is a satire of belief and malleable post modern notions of truth. They inhabit a history envisaged as a mutable creature, having gleefully embraced Templars, mystics, hollow and flat Earthers, Pappists, Grail hunters, alchemists and Rosicrucians. The mythological conspiracy is made real by its invention, the very geography of their world is scorched by the feral ideas of the protagonists. 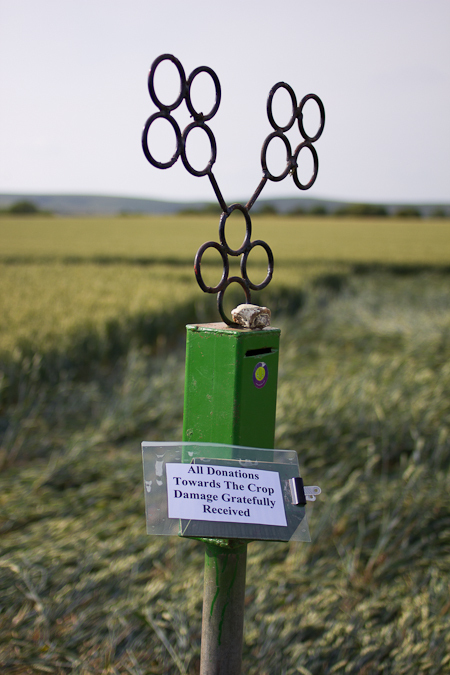 One, Diotallevi declared that the manner of their success is ‘to arrive at the truth through the painstaking reconstruction of a false text.’ The story (like the Wiltshire crop circle) takes on a life of its own, and the plotters act as beacons for any unorthodox activist who chances upon them. A web of disparate concepts are woven into a semblance of manifest order and the old gods are replaced by secretive agents. For the eager psychogeographer the interlocked narratives are what the evocative writer David Southwell says simply ‘how place makes me feel’, labyrinthine and irrational plots are assembled into an intricate tableaux of emotion for the perambulator to imbue. This is a type of tourism whose purpose is to breathe in the aroma of place whilst undertaking a voyage of storytelling and mythogenesis. Alain de Botton in the Art of Travel appropriately observed that ‘journeys are the midwives of thought’. Wandering alongside the watery axis we are guided to the beating heart of the county’s essence, centred around the familiar comfortable environment of a pub which is a fecund source of tall tales and rich imaginings cloaked in the spectres of the past. This old canal watercourse only remains in bits and pieces, but there is a bike path that is popular. Now, about those crop circles: with ALL of the corn and soybeans here in Illinois we ought to be seeing more of this sort of thing. I couldn’t blame the aliens for moving on to greener pastures. Iowa, at the least. Still…..this could be a growth opportunity……Hmm…. Happy solstice, and all that. Nice work! That’s very kind Dave, and thanks too for giving me a wider frame of reference. The funny thing is for an intergalactic phenomenon crop circles are very local! I suspect the days of the traveller canal boat are waning, the waterway authority has been privatised and encouraged to make more money, which can only really come from tourism, which is a shame as it’s such a wonderful and affordable alternative lifestyle. I guess the US equivalent is the nomadic Rv community? I loved that sign asking for donations for destruction of crops by circle-makers. It captures these circles as a bizarre by-product of capitalist production: made as either ‘art’ or a prank, they’re now big business, supplanting (or being allowed to coexist with) ‘real’ production, yet with an obvious impact on the latter. Perhaps the economics of crop-circle tourism make more sense than those of agricultural production? There’s an agreed code of conduct and everything! I couldn’t find the report page, but I read somewhere that it was worth millions in revenue from tours and hotels etc. l guess with agriculture in an apparent state of crisis, you may be on to something? Happy Solstice Matt! We are both in archaeological mode today – lots of interesting highways and byways here. Foucault’s Pendulum was my favourite Umberto Eco novel but I hadn’t thought about it for years. Good to see Arthur Machen getting a mention too. Happy solstice too! I just love the fact there are so many layers and ideas all crammed into one place! Machen is someone I certainly need to investigate more! Great post Matt. We spend a summer holiday down near Avebury a few years ago and despite all of the well known iconic images, stories and myth encountered beforehand it was a delight to actually be in the landscape and experience it first hand. Surprised to visit places like West Kennet Longbarrow and be the only people there. Also recall picking up a sense of crop circles being a covert part of the local economy and perhaps even ‘made to order’ so to speak. Also remember part of the canal which had an amazing ‘ladder’ of locks which was very impressive. Thanks! The landscape around there is amazing, so much history to consider, there is a whole section in Cope’s lovely Modern Antiquarian book. I think that ladder was possibly at Devizes? The Kennet and Avon begins near my office in the centre of Reading, I find it comforting to know it slowly winds it way back towards the Westcountry of my childhood. Yes had Copey’s book with us – probably one of my most travelled books, not the most portable but always worthwhile! Nice to think of the physical connection of the river actually linking up the two places. Gosh, it’s a hefty book! The website is good too, but oddly crawls on my mobile, so maybe we need some kind of miniature travel edition? Particularly fine writing, and an enviable range/ ‘field’ of references! I have often wondered how the farmers with spoiled crops coped. Very little sympathy for farmers these days – they are either ‘caring for’ animals just to dump them at an abattoir, or soaking every patch of earth in dubious chemicals. In the north here the heart of England is the doughty backbone of the Pennines, the rough and tumble of hills. I admit to being more than a little horrified by the flatness of ‘darn sarf’. East Anglia’s dead-pan is something else: extremes stimulate of course. Very kind, it’s just a random holiday adventure really, Wiltshire has marvellous rolling hills and those vast green ranges too. The landscape is punctured though by a huge amount of deep history, tourism weighs heavy, which is why i’m fascinated by these alternative economies that sprout up. I do wonder if there is an equivalent landscape art for the crags of the Pennines? 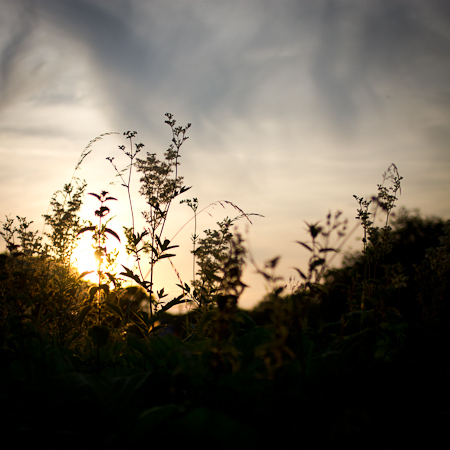 Really enjoyed this post, a wonderful, multi-layered evocation of rural psychogeography. When I tweeted that it should be compulsory reading I was being entirely serious; it’s a fabulous example of how to get to know the landscape and made me think a lot about how I relate to my adopted Somerset and Dorsetshire pastures. Agreed. A really fine essay. Not much to add to the other comments, Matt – this is wonderfully rambling but purposeful (like a good walk, really) – your writing reaches an Iain Sinclair-like pitch of fascination and scepticism. Well done! I like the thought that travelling by canal has a predetermined sense of direction: we suspend our free will to a certain degree, and thereby surrender to chance. Thanks Ian, I like the way canals combine industry and nature, as well as the fact that life moves slowly around them too, it suits my rambling attempts at writing! Agreed! Avebury is a strange ringed place that deserves a post of its own, so many layers of history and association! I like your last line, we all look for chance connections, but the land simply ‘is’! Terrific post, one to savour. I never knew that Alan Garner had adapted a ‘real’ (you know what I mean) folk legend for the Weirdstone books. Very kind! Alderley Edge is a marvellous place sadly tarnished by the vulgar footballer town and its mock historical mansions, but the edge itself with the ranging view of Manchester, dark woods and tumble down stones is a wonderful site of mystery.